For years, the Harijans of Khammam district have been enslaved by arrack and an exploitative social system. AWARE, a voluntary organization set up last year, has already helped break this stranglehold and lend a new dignity to their lives. But the powerful landlords, the arrack merchants and even the Marxists are not happy with the way the Harijans are now coming together to threaten their dominance, to question the absurdly low wages and fight for their rights. There is now violence in the air. For 40-year old Dargiah, a Harijan of Jalepally village in the Khammam district, Andhra Pradesh, the nightmare is seemingly over. The powerful landlords of the village had used him as a beast for three decades. The forward-caste people treated him like dirt and kept him at a distance. Self-respect and dignity were concepts that never existed in his limited mental framework. Conforming to the prevailing social standards in his village, he toiled all day in the fields of his masters. When his frail body refused to take it anymore, he was tortured with lashes. Just a few days back, he showed me the marks on his bare back, inflicted with a whip and for all this he was compensated with a few drops of arrack-the liquor that bonded the slave to the master. Dargiah’s case is not an isolated one. The situation of lot of other Harijans in Jalepally and surrounding villages is hardly different. While their wives too toiled elsewhere and came back every evening with a few rupees to run the home, the inebriated husbands reached home empty-handed. The hapless wife, very often, had to part with her share of food to feed her hungry husband and the children, seeing their mother starving, these children hated their father. A study of this pathetic plight of the Harijans revealed that ignorance and arrack played a symbiotic role in compounding the problem. If these Harijans are to be unshackled from the chains of suffering, then they should be persuaded to stay away from arrack, the drink that brought disaster to these unfortunate people. But how does one convince these Harijans to give up liquor? Who will undertake this education program? The bureaucrats and the Government agencies are just not cut out for this kind of program. Even if some committed social workers come forward to accept this challenge, the powerful arrack lobby and the landlords will not be silent spectators. When I visited the Harijan villages in the Khammam district a few weeks back, the social transformation during the last one year appeared too good to be true. The difference becomes strikingly clear when one compares these villages with the nearby ones that are kept out of this gigantic social experiment. Being a pessimist, I doubted the Harijans when they asserted that they had not touched liquor during the last one year. Barely a year back, say the landlords, these Harijans did not even have clothes to cover their bodies but today, they put on clothes that could be the envy of some of the poor forward-caste people in the village. In fact, the hygienic habits of these Harijans compel one to ask: How on earth can one call them untouchables? Their dwellings, made largely of mud, are so well maintained that one does not recognize them as Harijan houses, unless one is told so. Factions have been the bane of Harijans for several years. The landlords have exploited these splits in the Harijan community to their advantage. In one of the villages, Jeerlacheruvu, factional feuds had been the order of the day-until a year ago. Before I arrived in this village, the police outpost, situated a furlong away, signified the tension area I was about to enter. I was told that, last year alone, as many as 10 Harijans had been murdered in Jeerlacheruvu. My enquiries revealed that the Harijan factions in the village were instigated by the landlords through an abundant flow of liquor. The Harijans, who were in an inebriated condition, did not hesitate to kill each other. One of them, in a drunken state, even sold his two acres of land for a song. To promote unity among the Harijans, village associations have been formed in all the 60 villages that are now included in the social experiment in progress. Each association has a President and a Vice-President and they are entrusted with the responsibility of maintaining unity among the Harijans. One of the main responsibilities of the association is to keep a strict vigil on the Harijans, who were known addicts. Explaining the modus operandi, the Village Association President of Jeerlacheruvu, Gopi Babu, told this correspondent: “At dusk, the Association members visit every Harijan house in the village to check the male members. Just a few days back, he showed me the marks on his bare back inflicted with a whip. For that, he was compensated with a few drops of arrack. Besides these conferences, training programs are conducted for the Harijans youth. In these training camps, information on privileges and rights guaranteed to Harijans under the Constitution, modern methods of agriculture are introduced. Action for Welfare and Awakening in Rural Environment (AWARE) has been creating waves in the rural areas since its inception in 1975. Founded by an anthropologist, P.K.S. Madhavan (now its Chairman), AWARE was registered by the Registrar of Societies at Hyderabad under the Public Societies Registration Act. In response to its pioneering work in the rural areas of India, several international bodies have come forward to assist this voluntary organization. Prominent among them are NOVIB (Nether-lands organization for International Development Cooperation) and the ICCO (Inter-Church Coordination Committee) of the Netherlands, the CAA (Community Aid Abroad) and the FFHC (Freedom From Hunger Campaign) of Australia, OXFAM of the United Kingdom and the Indo-Canadian Community Centre of Canada. Besides these, the Government of Andhra Pradesh, the Government of India, the ICICI, the Indo-German Social Service Society (New Delhi) and several nationalized banks (like the Bank of Baroda, the Central Bank of India and the Indian Overseas Bank) are also associated with the activities of AWARE. AWARE’s main activities, according to its Chairman, are aimed at development of social education, motivational training, legal assistance, agriculture, animal husbandry, marketing justice, community health and rural reconstruction based on equality, social justice, self-help and community action. These programs are directed at upliftment of the tribals, the Harijans and other rural people irrespective of race, community, religion, caste or creed. Today, AWARE’s work is spread over ten districts of Andhra Pradesh: Khammam, Mahaboobnagar, Medak, Nalgonda, Prakasam, Vishakhapatnam, West Godavari, Krishna, Nellore and Hyderabad. It also runs a few projects in Karnataka, Kerala, Orissa and Tamil Nadu. With 500 workers and 3,000 volunteers rooted in these villages, AWARE’s influence has spread to more than 1,000 villages and helped 5,00,000 people. By 1985, the voluntary body is aiming to improve the living conditions of at least one million rural poor. Among the target groups benefiting through AWARE’s program are tribals (Lambadas, Koyas, Nayakpodus, Yanadis, Yerukalas, Chenchus, Panas,) Harijans, fishermen and other weaker sections of rural areas. AWARE, as a matter of policy does not intend to work in any area for more than a specified time. Once the potential of the rural people is realized and can do without external assistance, the voluntary organization encourages the villagers to form their own associations. The Lambada Service Society, the Girijan Seva Samiti and the Harijan Seva Sangh are the products of this approach, they are now working as second-line organizations, and slowly they will replace AWARE. While the landless and the rural poor are waging legal battles in the court to get back their lands, they are encouraged to learn some skills in the meanwhile and earn their livelihood through some cottage industries. AWARE, which has initiated this scheme, has also established a Kalamkari Training Centre to revive this ancient art. To keep the rural poor away from the clutches of the moneylenders, the voluntary organization has introduced a village revolving fund, called Gram Nidhi. Besides this, the village poor are also informed about the nationalized banks’ schemes intended for them at nominal rates of interest. AWARE has been acting as a coordinating force between the banks and the poor people to give proper shape to the Government’s welfare measures. AWARE has also participated in cyclone relief activities and provided 4,500 houses to the victims in the Krishna, Prakasam and Nellore district of Andhra Pradesh. It has established a project for rural vocational training exclusively for the tribals at Aswaraopet in the Khammam district. It is expected to train 140 tribal youths every year in agriculture, carpentry, welding and electrical trades. In Khammam like other districts of Andhra Pradesh, the rights for arrack sale are auctioned at the district headquarters every year. The auction, called Abkari auction, goes on for two or three days. During these days, the district headquarters wears a festive look, resembling a Fair. This fair atmosphere, resulting from the arrival of thousands of people connected with the arrack trade at the district headquarters is popularly known as Abkari Izara in Telangana. At this time, all the hotels are packed and prices shoot up to record levels. At the auction, the rights for each taluka are auctioned. Each bidder has to deposit nearly ` 1,00,000 and the highest bidder has to pay 25 per cent of the bid amount immediately after the bid is accepted. The tribals are exempted from paying any deposit, which is retained for one year. To avoid payment of deposit, many contractors use the tribals as proxies. But in reality, the contractors who are usually upper-caste landlords, run the show and earn lakhs of rupees every year. While the contractors buy arrack at ` 5.50 a litre from the Government, they sell it at ` 40 a liter after diluting it to the required level. Once the taluk-level bid is finalized, the highest bidder will enter into negotiations with smaller contractors, who are given rights over areas comprising 10-50 villages. Some contractors also run illicit distilleries to avoid the excise tax. The actual cost of a litre of arrack will be less than a rupee. But the Government imposes a massive excise tax of `4.50 on every litre. To avoid this tax, the contractor buys the arrack from illicit distilleries at ` 2 a litre and makes a huge margin. To sustain their hold over the areas where they are given the selling rights, the contractors pay 10 per cent of their profits to the local leaders. Some of the sarpanches, who make no secret of these payments, use a part of this money for public utilities. For instance, the Jeelugumally Sarpanch of Thirumalayapalem takula, in the Khammam district, came forward to invest ` 10,000, received from an arrack contractor for leveling a Harijan street in that village. He requested AWARE to contribute another ` 5,000 to take up this work. Over the years, the auction bids have been on the rise because of the increasing consumption of arrack. In fact, in many districts of Telangana (including Khammam), the agricultural labourers are paid only in kind that is, arrack. Sometimes, the liquor is complemented with jowar, but many prefer to forgo the food and opt for additional liquor. This system has come in handy for the arrack contractors who, in collusion with the landlords, promoted the sale of arrack. The arrack lobby is a powerful one in Andhra Pradesh. Some of the Telugu film producers are leading arrack contractors. They have representatives, both in the State Assembly and in Parliament. In fact, they play a crucial role during the elections and finance the candidates, too. Recently, when the Andhra Pradesh Government decided to impose multiple taxes on the sale of arrack, the arrack lobby in the State, says Eenadu (the leading Telugu daily), effectively restrained it from going ahead with its plan and succeeded in retaining the single-point tax. According to Eenadu’s calculations, the Government has forgone excise revenue to the extent of ` 40 crores through this decision. The alleged arrack scandal has created a stir in the State Assembly. 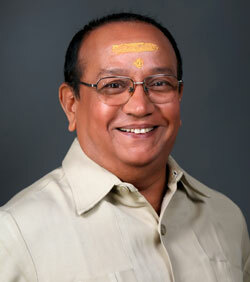 The Finance Minister, N. Bhaskar Rao, clarified that the multiple tax was imposed due to some technical error. The Opposition parties in the State are not convinced and the concerned file is now under scrutiny. The Reddy and the Kammas, who are the landlord classes in the Khammam district, form 15 per cent of the total population (17, 51,574 in 1981). The Velamas, who comprise 5 per cent of the population, also fall under the landlord community. These landlords are associated with all political parties, more particularly with the CPM. In fact, some of the richest landlords of this district are known to be active members of the Communist Part. This is because of their active participation in the Telangana armed revolt of the 1940s, which had been led by the Communists. The landlords have consolidated their holdings over the years because of the ignorance and the submissive nature of the Harijans and the Tribals. Many of the Harijans and Tribals had been given lands, called imams, by the Nizam in recognition of the services rendered by them. But their economic condition compelled them to mortgage their imam land to the landlords. The petty loans that they took multiplied to unmanageable proportions in no time and the Harijans lost their lands. Similarly, the small and marginal farmers lost their small holding to the landlords because of economic compulsions. In course of time, the landlords have cornered a major chunk of the cultivable land and the rural poor have been left landless. The landlords of Khammam are also involved in toddy business. Some of them have set up rice mills and small-scale industries. Many of them also act as middlemen in the marketing of agricultural produce and earn fabulous commissions. Indeed, Dargiah has come a long way from the days of his slavery. So have the other Harijans of Khammam, the district that is regarded as the stronghold of Marxists. The Harijans liberation has become a source of worry to the landlords of Khammam. They can no longer exploit the Harijans and fatten themselves on their cheap labour. No longer will Dargiah toil in the field for unlimited hours. He will work for only 8 hours a day and demand ` 10 for his labour. The arrack cannot enslave him any longer. The arrack contactors are worried, too. No more can they fleece the Dargiahs and fill their coffers. The tension is building up in the Harijan villages of Khammam. The landlords and the arrack contractors are scheming to unleash a reign of terror to teach the rebellious Harijans a lesson. The occasional clashes between the hired goons of the landlords and the Harijans symbolize the trend. But violence is a part of any social change and the Harijans, who have tasted the fruits of liberation, are prepared to fight back and protect their rights.